Have you ever wanted to try something different on your hair? You're afraid of the result so you don't want the color to last a long time? These Syoss Instant Color Sprays are exactly what you need! I tried out 3 colors of these sprays and I am sharing my thoughts about them with you. To create your own unique style and to be able to play with color. 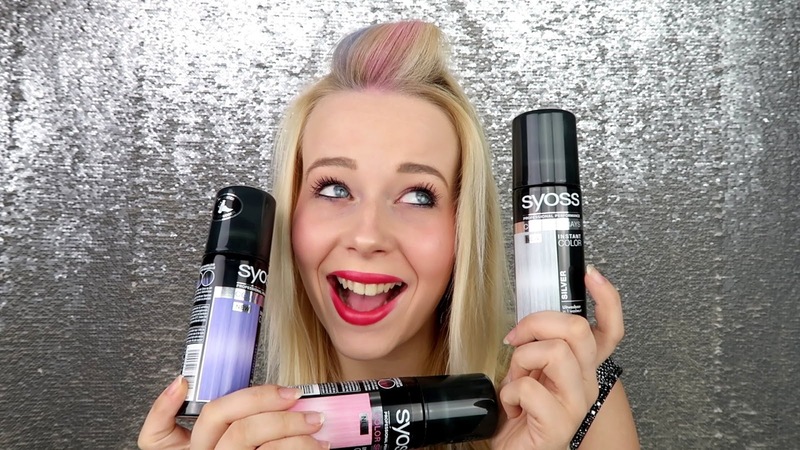 These are the main reasons why Syoss created this professional range of instant color sprays. The formula without ammonia and with super fine micro-coloring pigments will give your hair an immediate touch of daring color. The spray dries very quick and the color will disappear the next time you wash your hair. Silver, Candy Pink, Bright Violet, Ocean Blue and Gold. I only tried out 3 of these colors: Silver, Candy Pink and Bright Violet. How do you use these sprays? 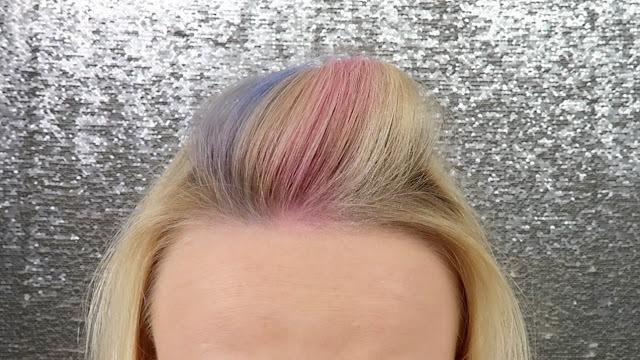 decide where in your hairdo you want to add some color, and just spray. The head of the spray is so precise that you don't need to separate your hair or anything. It is true what the description says, when you wash your hair, all the color will be washed out. No need to worry about any stains that will remain in your hair. I also like the pigmentation of the spray, it is not too pigmented but still very obvious to see. Only the Silver color spray did not have a lot of effect on my hair, but I guess that's because I am a blondie. I am a fan of these Syoss Color Sprays. They are so easy to use, give an awesome effect on your hair and wash out easily. Perfect to try something different on your hair once in a while. Die lijken me echt leuk voor de festivals of voor een feestje! Die zijn leuk zeg! Zelf zou ik het niet snel doen, wie weet voor een feestje. Jouw foto's zijn in ieder geval heel enthousiast! zo leuk, ik wou vroeger ook wat roos of blauw in mijn haar. Ik vind die colour sprays echt een superleuke uitvinding. Kun je de kleuren ook zien op donkerbruin haar? Heel leuk om te gebruiken bij speciale gelegenheden! Wow it really works well on your blonde hair!